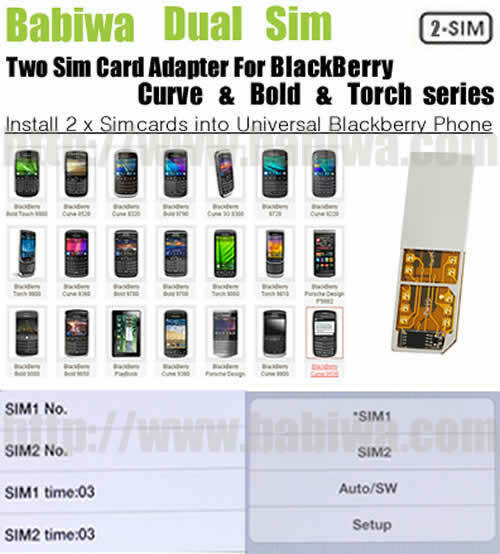 Newest BABIWA© magicsim series Dual Sim Card Adapter Supporting Blackberry Curve ,Bold and Torch Series Mobile Phone (Support Any Universal or Worldwide Version). Cutting Type.Let your Blackberry Curve ,Bold and Torch series phones install two simcards . The only Genuine Supplier now ! 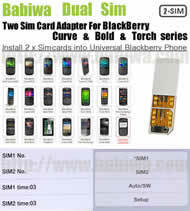 Listing Part of the models belong to Blackberry Curve , Bold or Torch series.if your own Blackberry model is not included in this list below,but your blackberry phone using mini simcard,then you could also order this multi sim adapter. ...just for reference.more models not included in this catalog.As long as your blackberry phone uses mini simcard,then you could order this multi sim adapter. 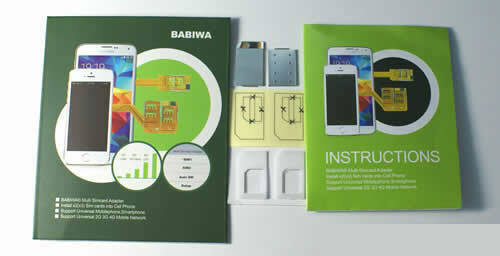 Genuine BABIWA© magicsim series.This adapter's embedded program is revised for Blackberry Blackberry Curve ,Bold and Torch Series OS . Universally Supporting Any version released to Any country or area. ( 1 ) Memorable Chip used now,your personal configuration of multi sim will be recorded even when power-off or change to another phone. Support Universal 4G 3G 2G Mobile Network including FDD-LTE UMTS WCDMA GSM network ,Including Data Transmission. This is a interesting small gadget to Let your Blackberry Mobile Phone Get Two Sim Cards Installed for your Free Choice Conveniently and Easily !You don't need to power off to change sim card. To let you choose any One number online easily. By default,we will send you the cutting type dual simcard adapter which is suitable for Regular Simcard mobile phones(Regular simcard is the universally used simcard type and bigger than the micro simcard or nano-simcard). But if your Blackberry phones using smaller Micro Simcard or nano-simcard,please let us know to request micro or nano simcard version when you place the order. 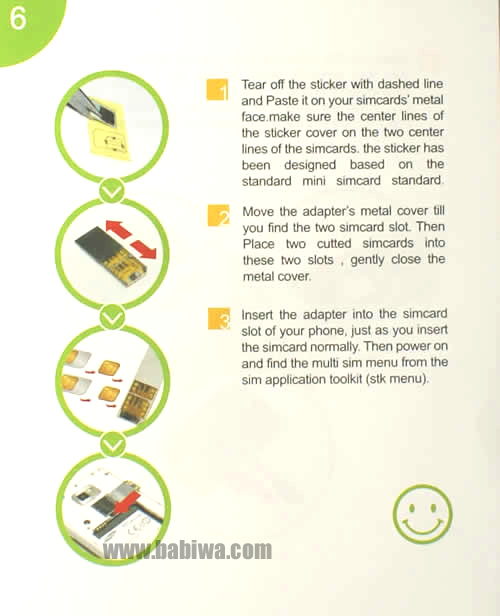 This Listing is for Cutting version by default,You need to cut both simcards with any common scissor to make the adapter very compact to fit into your mobile phone's simcard socket,it's very easy for new user,detailed instruction included in the package. 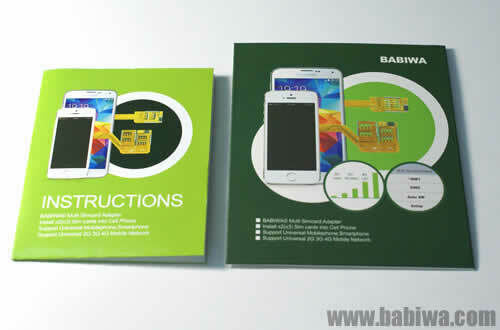 Please Notice this is the Genuine BABIWA© magicsim series Multi Sim Adapters released from Patient Owner,Not the Common Fake Versions easily found in the market.The multi twin sim card is under patent Law protection from both China Mainland and Taiwan area. 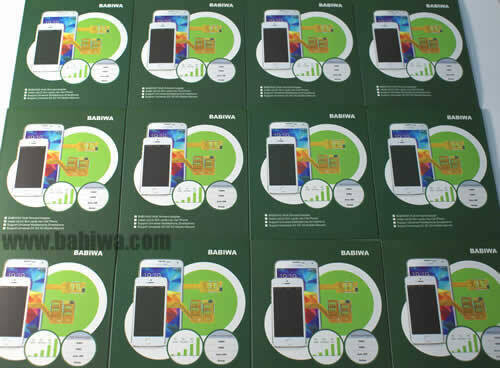 (from some customer's reports,we have noticed Now there have been quite a few sellers selling the fake BABIWA series multi sim adapter Series in the market with even cheaper price,usually the same packing or the OEM packing without logo,the fake parts use the poor-quality IC inside and many with incompatibility problem,We sincerely recommend all customers to pay attention before your order.it doesnt worth to cost energy and time to try.and we don't take the responsibility of any countfeit Product which is not from us). (1).Newest technology to let your own BlackBerry Curve&Bold&Torch series mobile phones to install two sim cards -- You don't need to power on and off the mobile phone to switch the both numbers(sim cards),just switch SIM(both phone number) online through embedded STK MENU .And the"AUTO SWITCH" feature enable you to Set Two sim cards to be online automatically . (2) Support Universal 4G 3G 2G Mobile Network including FDD-LTE UMTS WCDMA GSM network ,Including Data Transmission. (3).Specially Designed Program compliant with BlackBerry Curve&Bold&Torch series. 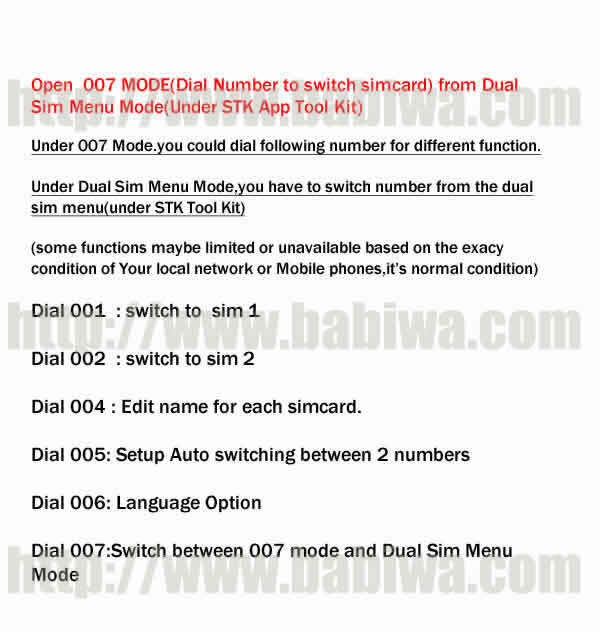 (7) This Dual Simcard Adapter supports Sim Application Toolkit Enabled Phones,because the multi simcard operating menu will be found from your phone's Sim Toolkit Application. Cut version,you need a common scissor to cut both simcards to fit into the adapter's slot.Very easy to operate even for first user. instruction included .